French reissue label We Want Sounds is charting a course to release the early catalogue of Japanese singer Akiko Yano. 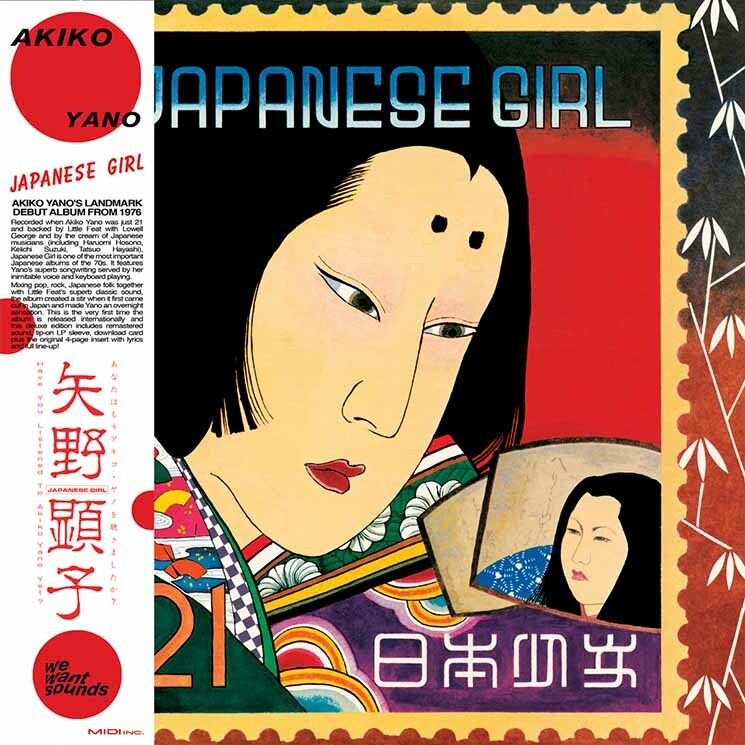 The imprint is following up last year's release of Tadaima (originally released in 1981) with her 1976 debut, Japanese Girl. The goal is to expose Yano, who is legendary within Japan, to a larger audience. Whereas Tadaima is a synth-pop collaboration with Ryuichi Sakamoto and Yellow Magic Orchestra, her debut features the jazz-funk rhythms of American band Little Feat — an outfit formed by ex-Mothers of Invention member Lowell George — on the A side. She's backed on the flip by Japanese pop music royalty, including a pre-YMO Haruomi Hosono and drummer Tatsuo Hayashi. With a vocal delivery likened to that of Kate Bush, Yano comes out swinging with a powerful tone that bobs and weaves effortlessly. Her range belies her inexperience on this recording. This is the soulful emoting of a veteran of her craft, not the tentative first effort of an ingénue finding her footing. It's immediately apparent why the release of Japanese Girl created such a stir in her home country, and made Yano an overnight sensation.